Having a special baby shower decoration ideas will give you the opportunity to achieve a unique baby shower. It is important for you as a mother to be sure of the preparation of every detail. So if your baby is the first or not! You must try to do something so special to give your baby his first happy memories. and May be you are interested in taking a look at these baby shower cakes decorating ideas to complete the joy of party. Just like any other celebration, it is important to prepare the baby shower well in advance, since everything is simpler if you have a good organization from the outset. Choosing the place of the celebration is something you must consider as one of your priorities; you must decide either indoors or out? Then it will be the time to think about the decoration and the theme. You should be aware that you will not need to spend a large fortune to prepare a fun and enjoyable party. Decide how much money are you willing to invest in this celebration? The budget of the baby shower will vary from the number of attendees and, from kind of cupcakes, drinks, and of course on the baby shower decoration ideas that you will use. Choose a place; you can celebrate the baby shower in a public place, like a park, or in a private place, such as your house or a friend. There are also private party rooms that offer the possibility of renting space for as long as you need. Ask for help for organizing the party. Get the help you need from your best friends and family to make the best preparations. You can also ask for help from a company specializing in this type of parties. Take a look: Printable Halloween Decorations - Free Printables! Remember to make a list with the names of all attendees. You will need to decide the kind of the food or snacks that will be served. Start choosing the design of the baby shower invitations. Get a camera or video camera to keep the happy moments alive. You can ask a friend to take the responsibility of taking photos, or you can hire a professional photographer for this job. Ask your friends if they prefer to go to the party with their partners or alone and prepare fun games and music to have a pleasant time together. Choose the place where the gifts will be stored during the party. Traditionally, there is a very comfortable chair for the mother to be, and several other chairs placed around a circle. There should be a table of some kind to place all the gifts on when your guests arrive. The table can range from a regular game table, a dining table you will not use for the event, baby changing table, a bassinet, or a crib. Try to put a camera for the public use. So that everyone has the opportunity to snap some random images of the event. The entire shower should not last for more than a couple of hours. Choose a theme to decorate your baby shower. An animal subject is the best. It works well for a baby boy shower. Think of images that often appear in children’s books, such as puppies, kittens, animal safari, zoo animals, bees, ladybugs, ducks, fish, and turtles. The baby shower decoration ideas for a boy also could include pirates, dinosaurs, robots, planes, boats and outer space. The main thing is to make a combination of colors. The most popular for boys are usually blue, green or brown. Currently, the most daring moms organize Baby Showers originals and the shades of purple, yellow, or even red. A princess’ theme is traditional for a little girl, and so are pastel flowers and butterflies. But if you want to make modern baby shower decoration ideas for a girl you can use the theme of Dora the explorer or Doc McStuffins they are also perfect for a modern baby girl. 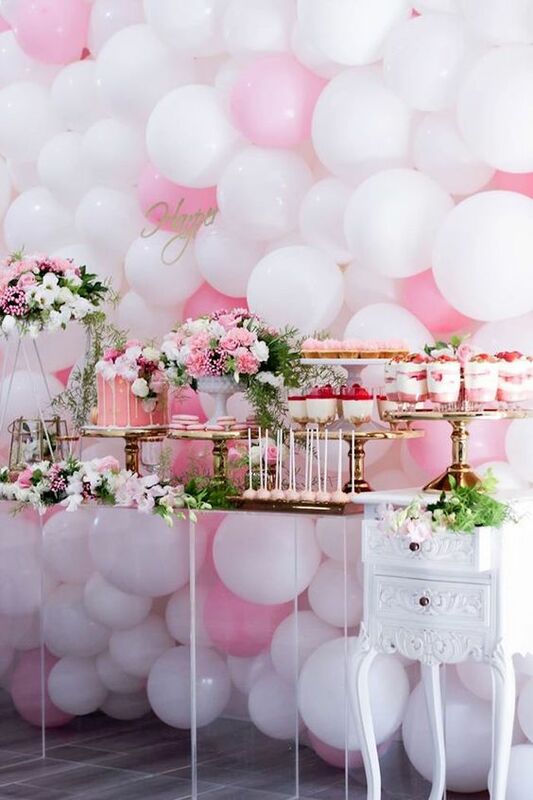 For the future girls, the decoration of the baby shower is based on much more feminine colors, objects, and crafts. The flowers, the bows, and hearts take center stage in the decoration of the party. 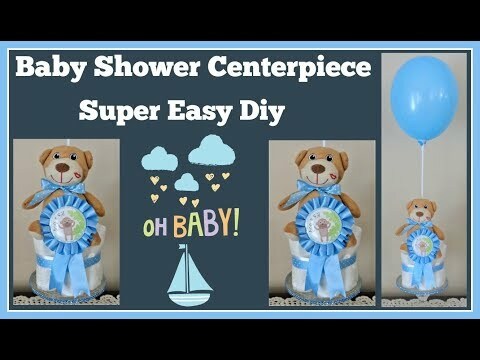 After you Choose a theme to decorate your baby shower, you can use these baby shower decoration ideas for a fantastic baby shower on a budget. Balloon decorations ideas immediately appear in mind when thinking about a party. They are often used as decorations for a baby shower. Choose balloons in a variety of colors, shapes, and sizes or one color if you want to create a monochrome look. Pastel colored balloons like yellow, blue and pink works perfect for a baby shower. Tie up some balloons with colored ribbon after you fill them with helium and let them float to the ceiling, so the tapes hang at eye level. Attach other balloons to furniture, or tie them to a weight so they can float up from the floor. Choose confetti that matches your theme or the color of your balloons. You can tape one end to the ceiling, so they hang, or tape both ends to the opposite sides of a room, so they cover the ceiling. You can use confetti and sparkling stars to spread them on tables and shelves in the guest area it will add colors to the place. Hang a banner in the entrance hall or on the wall next to the mother’s seat. Choose a banner that says something related to the baby shower, or customize the banner with the baby’s name if the parents revealed it. Pick a banner that suits your colors or theme and tape it on the wall. Decorate the main table with things that match the theme, such as a table cover, glass cups, plates, and napkins. Choose a center for the table, which might be something like a flower, a candle or a baby toy. Decorate your table with flowers or plants.